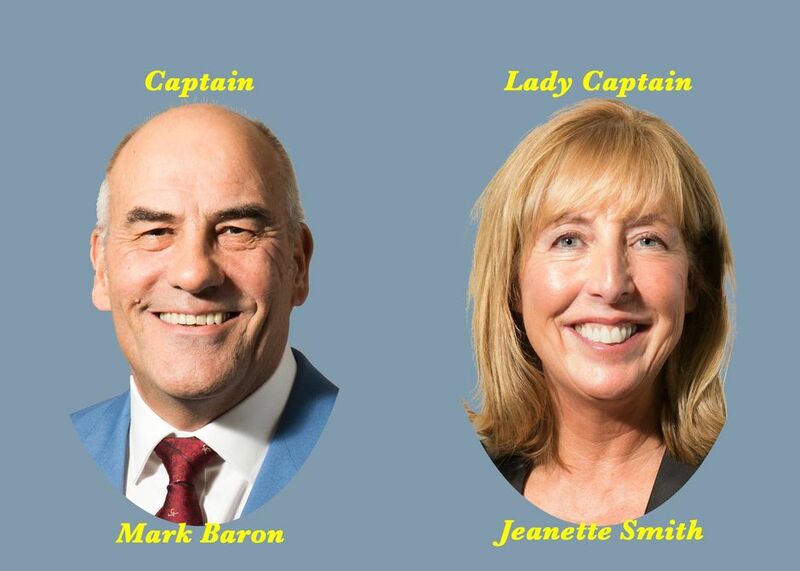 It is with great pleasure that both myself, as your Captain for 2018, and our Lady Captain Jeanette welcome in our new golfing, season and we wish all our members and all visitors every success for your golfing year ahead. A special welcome is extended to all our new members. We are sure that you will enjoy Ashton and Lea, and we hope that you make the most of the Club's facilities and support the Club at the social events that we have programmed for the coming year. The weather in past few months has been bruta; wind, rain and cold have tested the most hardy of golfers but despite the weather our dedicated Green’s staff have worked tirelessly over the winter upgrading the course for us all to enjoy in the season ahead. Jeanette and I hope to have a really successful golfing year, representing you and promoting our wonderful club. We look forward to your support for our charities - Prostate Cancer UK and St Catherine’s Hospice. There are ongoing plans for the Club’s continued development and the balcony should soon be up and running in a few weeks offering great views over the course and members' use of the Calvert Suite. We all benefit from a caterer who is second to none, so we would encourage all members and guests to enjoy the excellent menus and support the theme nights that Trish and Lyndsey have planned over the next few months. We ask that you use the facilities we offer in the Club shop, and give Dan and Scott your full support. The Ladies have a newly refurbished locker room and new team kit designed by Kukri Sport of Preston. The Ladies will be hosting the Guild Cup, and Ashton and Lea will be at the Ladies British Open - marshalling the 8th hole under the guidance of Will Kelly. Good Luck to all our teams and a big thankyou to the Captains and organisers. We start the season on Saturday 7th April with the Flag raising and Captain versus Vice Captain sides match. This is followed by the Ladies Start of Season 9 hole shotgun, preceded by a light snack compliments of Lady Captain. Your Captain and Lady Captain wish all at Ashton and Lea an enjoyable year of golf. If your Golf is going well that is great. If is not so good just remember to keep smiling - its only a game! And finally thank you all for the encouragement and friendship that you have afforded us both since our appointments.